If you want to awaken all of humanity, then awaken all of yourself. If you want to eliminate the suffering in the world, then eliminate all that is dark & negative in yourself. Truly, the greatest gift you have to give is that of your own self-transformation. We’ve all been there. We don’t like what someone else is doing & we want THEM to change. No matter how much we want THEM to be different, that doesn’t work. AFFIRMATION It isn’t one day at a time, it’s one heartbeat at a time! It starts with me, & when I am being the very best ME I can be, then I am not in judgment of how others act. The plan is simple, but I tell you it is not easy, because True Sobriety Ain’t For Sissies! Gazing upon my Peanuts Calendar this Christmas Day, I see Linus & the forever forlorn Charlie Brown discussing their holiday. “Do you mean did I get a lot of presents? OR do you mean did I give a lot of presents? OR Are you referring to the weather or the Christmas Dinner we had? OR Do you mean was my Christmas good in a spiritual sense? OR Do you mean was my Christmas good in that I saw new meaning in old things? In response, Charlie Brown just sighs…. How often do we ask a question without being clear about exactly what we are asking? How often do we answer a question without being clear about exactly what was asked? Even then, it often depends upon our point of view. Austin’s Christmas weather was sunny & clear. So, if you were dreaming of a White Christmas, you were out of luck. 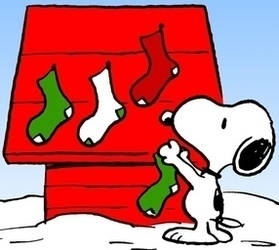 As for for myself, all of Linus’ Christmas questions were answered affirmatively, but one. I had a great Christmas with good people, good food & good reflection.